Catsan Hygiene Plus cat litter absorbs moisture quickly and effectively. It acts like a sponge and locks the odour in, ensuring that your cat's litter tray remains dry, hygienic and pleasant smelling. The natural grains of fine chalk and natural quartz sand are not only highly absorbent, they also inhibit bacteria formation and capture nasty odours before they can develop. Catsan Hygiene Plus provides excellent, lasting odour-protection, so it is very popular with cats and cat owners alike. 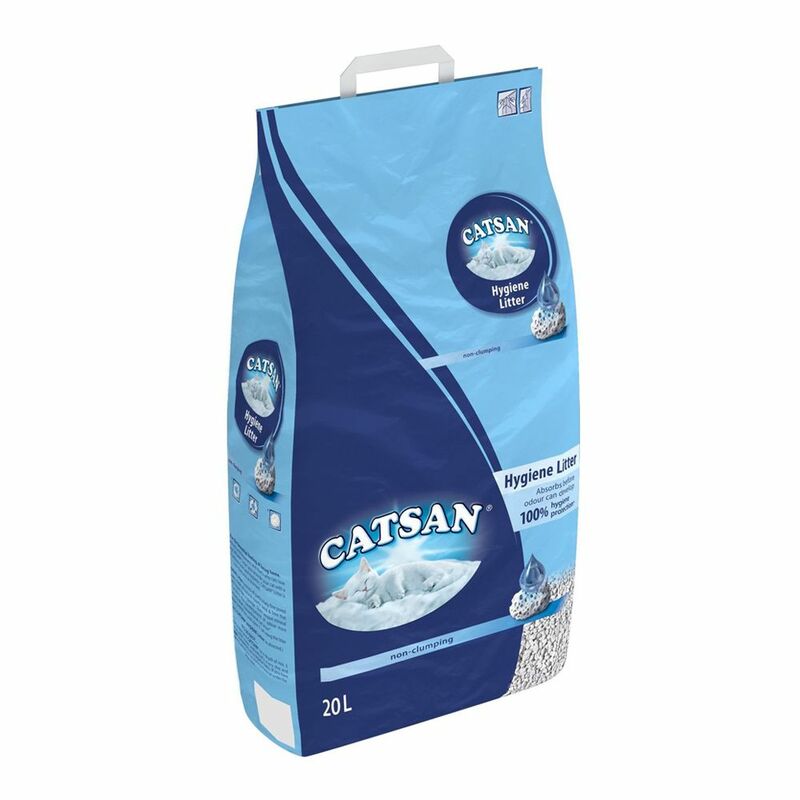 Catsan Hygiene's natural chalk and quartz grains give this quality litter a hygienically clean colour and let you rest aΒured about the absence of all dangerous fibres and other unsuitable substances. Catsan Hygiene is the only cat litter that offers hygiene plus extra mineral protection for especially reliable and long-lasting odour prevention! Catsan Hygiene cat litter - absorbs before the odour can develop. A cat litter that ensures your cat's well-being! Catsan Hygiene Cat Litter at a glance: Light weight No dust production when filling and emptying Excellent odour control Hygienically white appearance It's this simple: Fill your cat tray with at least 5cm of Catsan Hygiene. Remove stools daily and occasionally shake the cat tray to mix up the litter. Completely change the cat litter at regular intervals. Tip: If you have underfloor heating, place an insulating mat (wood or styrofoam) under your cat tray.